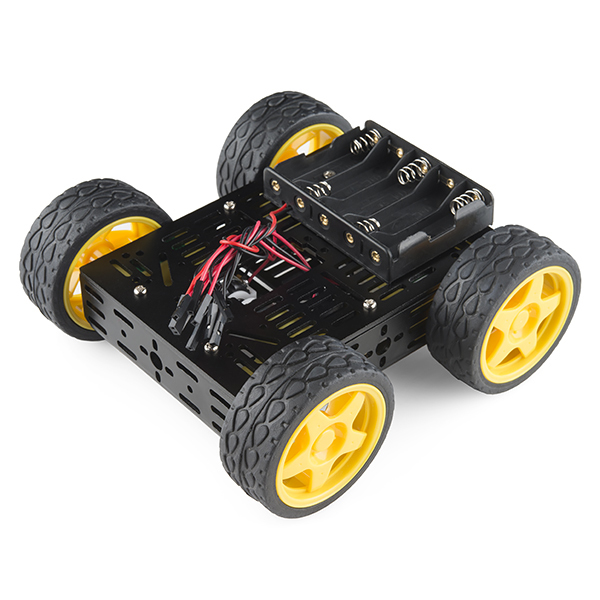 Description: This is the Multi-Chassis Basic 4WD Kit, an easy to assemble and use robot chassis platform. 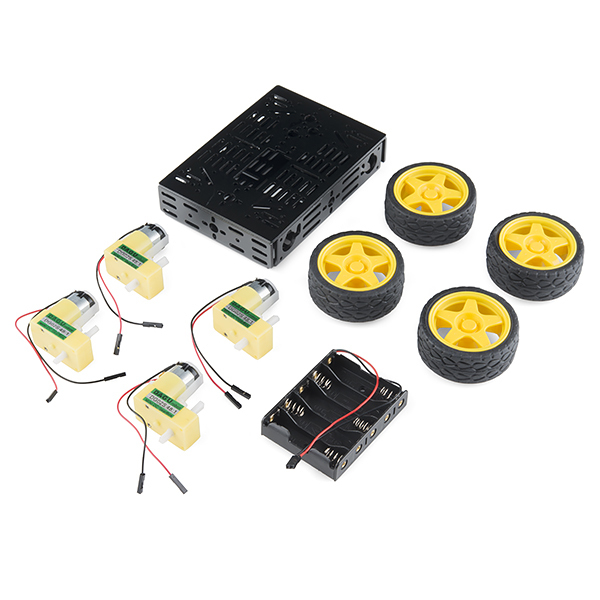 The Multi-Chassis kit provides you with everything you need to give your robot a fast four wheel drive platform with plenty of room for expansion to add various sensors and controllers. All you need to do is supply is a basic motor driver and power and you'll be ready to drive!